I’ve Been Quietly Using My Facebook Fan Page To Rake In Hoards Of Traffic To Any Site I Want... And Now For The First Time Ever I'm Going To Share With You My Insider Traffic Secrets So You Can Do The Same Thing! This is unlike anything you've seen before! I know that learning about getting traffic can cost you thousands upon thousands of dollars in "research material" (ebooks, video courses, software programs, etc) and hours and hours of your time. Wandering the Internet trying to find that "thing" that would bring in a ton of traffic... only to find a bunch of garbage that I've wasted my money and time on. So Why Does Everyone Make It So Hard?? That I can't answer because what I'm about to hand over to you is so easy and simple to use that even if you have absolutely no experience you CAN drive traffic to any site you want using my Fan Page marketing system... What's It Going To Be Like When You FINALLY Know The Secrets To Driving Traffic? Imagine if 7 days from right now you had all the knowledge you needed to drive traffic to any site you wanted? You'd have people coming to your site and making you money! You can finally pay your bills off, and do the things in life that you REALLY want to do because you now KNOW how to get traffic in front of your "money offers"! It would be more than awesome, and if you follow what I teach you then you wont be imagining any longer... This WILL be your reality! Why In The World Should You Listen To Me? When it comes to creating an online income I've done it in about 70 different ways! I've made money with my own online business by selling digital products, providing business coaching, creating different websites that people pay me to use, and on and on and on! Since 2004 I've made millions, and have taught thousands how to create their own online incomes and drive traffic into their businesses! 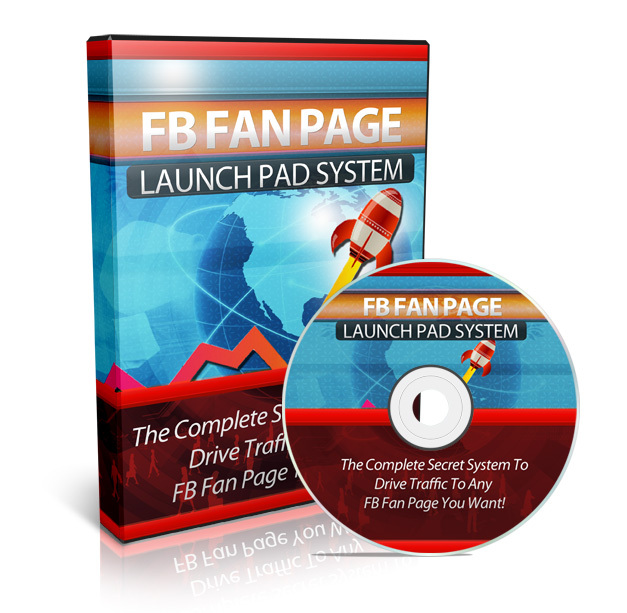 In this coaching program I'm going to show you exactly how to create your very Facebook fan page and use it to get traffic to any website you want! 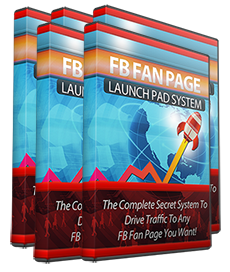 I'm going to teach you everything you need to know to create, setup, and run a Facebook fan page that drives traffic and that people will be jumping over each other to give you their money! The ins and outs of properly setting up your Facebook fan page so that it's optimized for driving tons of traffic for you. Step-by-step over the shoulder tutorials that show you how to set everything up... Nothing is left out so you'll be able to get your fan page up and running quickly! How to use and add apps to your fan page that will allow you to interact with your fans and get them to the websites you're promoting. ANY website you're promoting! 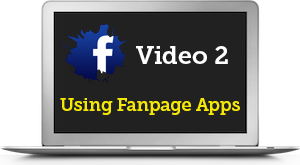 The best ways to advertise your fan page and get the traffic to all of your websites/offers. This is the "secret sauce" that everyone forgets! Learn multiple marketing tactics that allow you to advertise your fan page and get all the traffic you need! The ins and outs of properly setting up your Facebook fan page so that it's optimized for driving tons of traffic for you. Step-by-step over the shoulder tutorials that show you how to set everything up... Nothing is left out so you'll be able to get your fan page up and running quickly! How to create content that makes your fans happy and keeps them coming back for more. You'll be able to drive the same people to all your different offers with this tactic! Learn multiple marketing tactics that allow you to advertise your fan page and get all the traffic you need! And So Much More!!! Are You Finally Really Ready To Get All The Traffic You Want? Just think about this for a minute... Where will you be in 30 days from now? 60 days from now? 1 year from now? Will you still be struggling to get the traffic you need to make the money you need to survive with your online business? Will you still be buying this and that trying to find that "magic pill" that will send loads of traffic to your website? Or will you be enjoying the exhilarating feeling of NOT worrying about traffic and having a business that makes you money hand over fist so you can live that life you WANT to live instead of the one you're being MADE to live? 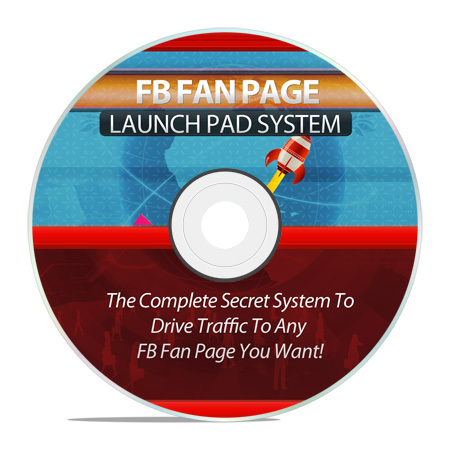 Just click on the order now button below and grab instant access to the FB Fan Page Launch Pad System Workshop and put it to use to start getting all the traffic you need! As soon as you purchase you'll get instant access, be able to go through the entire workshop, and then be able to start building the systems you need to build to get tons of traffic right away. I want the Facebook Launch Pad Video Training System now and I understand that I will get instant access to my purchase even at 2AM in the morning! I also understand that there is no risk whatsoever because if I am unhappy with my purchase for any reason, I can get a full refund of the purchase price with no questions asked.